SYDNEY AIR CONDITIONING REPAIR has been the preferred company for all air con services in Sydney and its surrounding areas for years. We pride ourselves on our high quality service, knowledgeable, professional and friendly experts and affordable pricing. When installing a new one or replacing an old air conditioner, you cannot choose just any AC system. You need to ensure not only that you feel cool and comfortable in your houses or offices, but also that the units you are having installed are meeting your cooling needs and are the right size for the space you need to cool. AC units which are too small do not have sufficient capacity to cool properly the entire space and units that are too big may not regulate humidity adequately. Our experienced technicians will measure the space to be able to choose the perfect unit for it, taking into account your cooling requirements and budgets. Preventive maintenance of your ACs in Sydney is essential for their optimal performance all summer long. 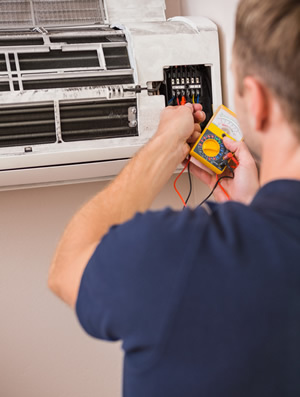 We provide regular checkups of your AC units, ensuring they are clean, running efficiently and safely. Our main goal is to make sure that you avoid more costly AC repairs and high energy bills, but instead, benefit from energy efficient cooling, better air quality and longer life spans of your AC units. Hiring the experts at SYDNEY AIR CONDITIONING REPAIR means that you opt for high level of professionalism, whether it is a first time installation, AC replacement, preventive maintenance or any other air con service in Sydney you may need. FOR THE HIGHEST QUALITY AIR CONDITIONING SERVICES IN SYDNEY, CALL NOW!